North Light Books, 9781440354779, 256pp. This workbook provides space and starters for honoring what His love means to you. Bible journaling allows you to express your faith, and this workbook is the perfect place to begin your creative worship. Lay your worries to rest here. Offer up prayers in the form of heartfelt writing, hand-lettering and art. Fill these pages--as He fills your life--with gratitude, lessons and love. Use this book as practice space to experiment with media, techniques and color combinations before committing entries to your Bible. Treat it as a private daily devotional or as impetus to organize a weekly journaling group. Above all, allow every page to grow your faith, celebrate your journey and bring you closer to God. 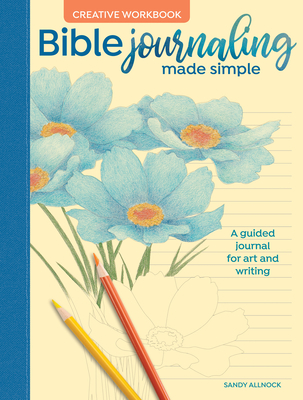 For step-by-step instruction, examples, idea-starters and more, check out the companion art-instruction book Bible Journaling Made Simple.